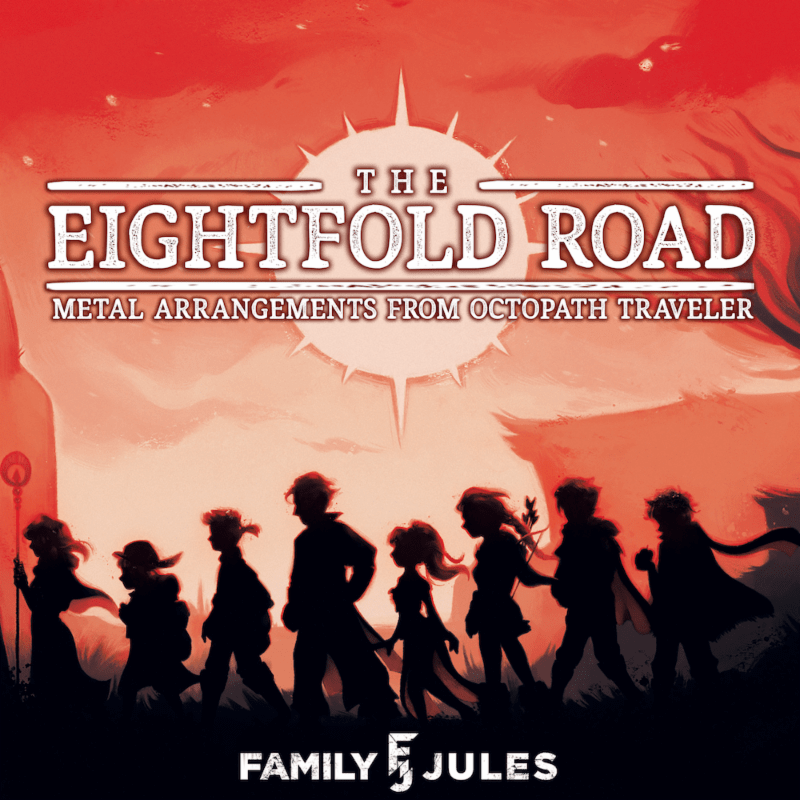 The Materia Collective has announced they be releasing an Octopath Traveler Metal album performed by FamilyJules (Jules Conroy) of YouTube fame and others. There will be 32 tracks in total and you can get the digital version now using the links below, or snag up a physical copy when they release. Jules Conroy, widely known for his YouTube channel FamilyJules, is an American guitarist who has arranged over one thousand videogame songs into metal, classical, ska, and more over his 300+ video library of covers and medleys. Jules remains the most popular and watched exclusively videogame guitar arranger on YouTube with 50 million views and over 300,000 subscribers. Jules also is responsible for the alternate metal album for the critically acclaimed indie megahit, Crypt of the Necrodancer which won countless awards including the 2016 Best Audio award in the Game Developers Conference Choice Awards. His guitar playing can also be heard in the original Binding of Isaac soundtrack, on the metal arrangement album for VVVVVV, and in the best selling guitar VST, Shreddage SRP by Impact Soundworks. Jules continues to put out regular weekly videos on his YouTube channel arranging the best video game music for metal guitar and more.